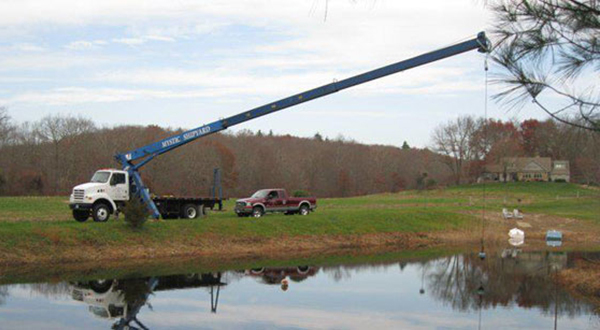 We can bring our crane to you! 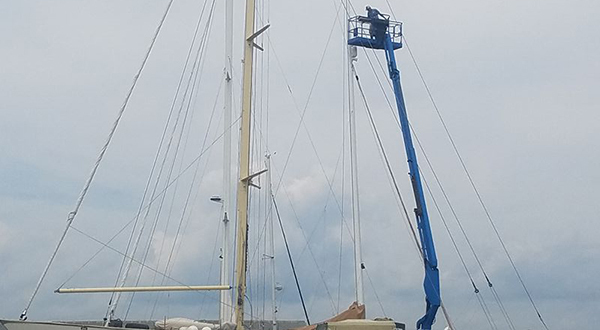 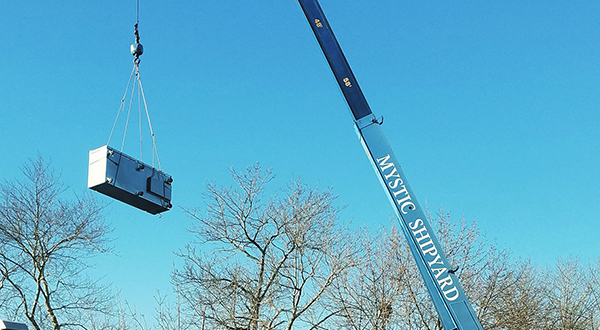 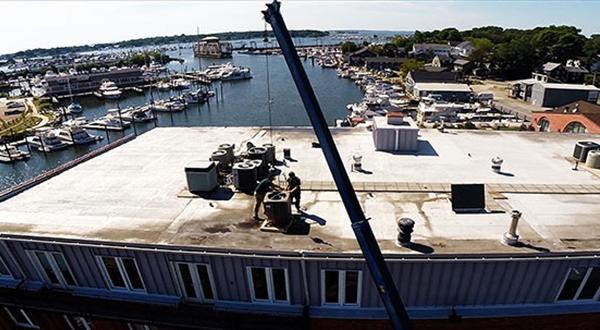 Mystic Shipyard now offers professional off-site crane service. 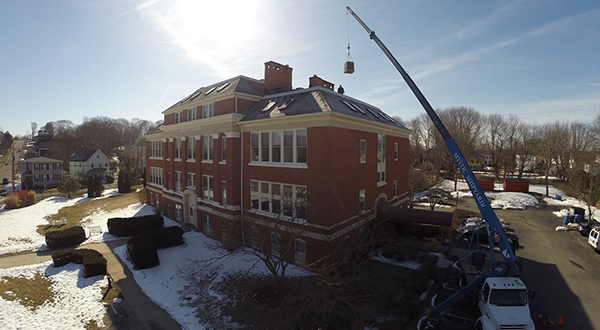 We have a state of the art crane able to lift a 17 ton load with a reach of 115 feet. 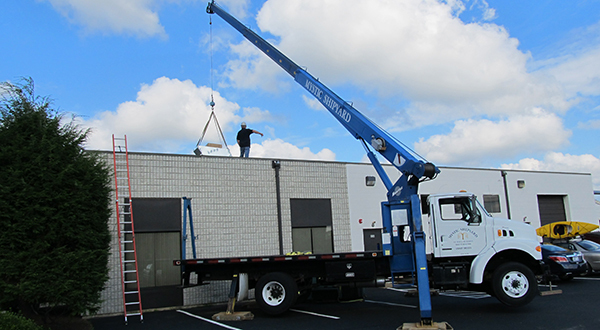 We bring our team of licensed, certified crane operators. 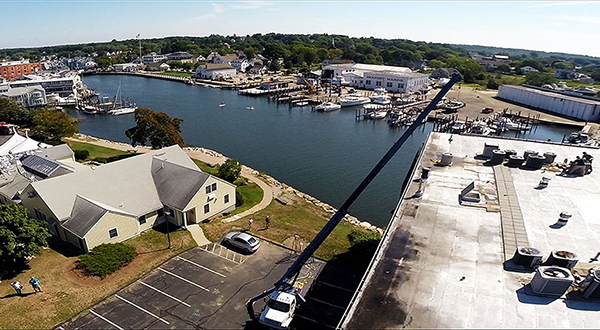 Call today to schedule any of your crane needs!